No one ever says, ‘A Brochure in the Hand is Worth Two Tweets on the Smartphone,’ but maybe someone should. While people actively interact with tweets and emails in the moment, a well-done brochure or direct mail piece can stay in an office for weeks, months, and even years. Even though the trend continues towards digital marketing and online media, print marketing remains a viable and valuable part of the marketing mix. A successful marketing campaign reaches a target market with seven touchpoints while effectively communicating a message and monitoring results. Distributing printed materials allows you to avoid spam folders and literally sit in the hands of your target. According to Marketing Sherpa, 80% of companies responded that their direct mail budget will remain the same or increase year over year. 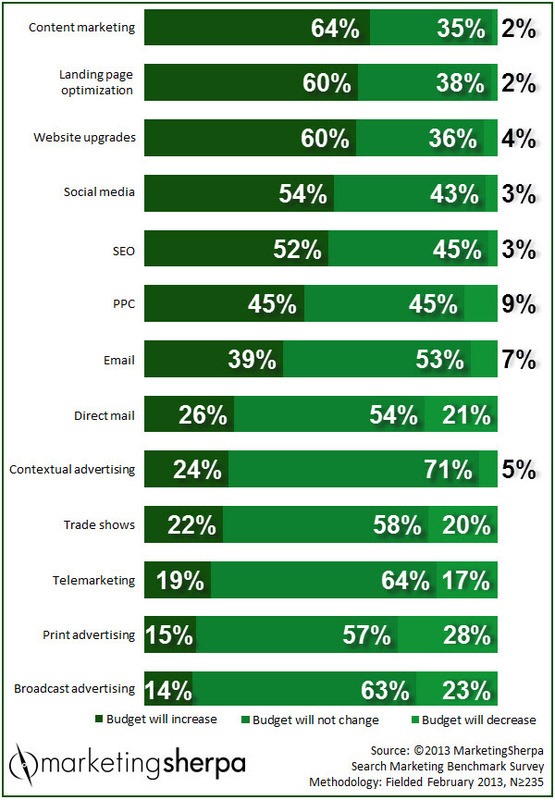 Overall, companies will increase spending on their content marketing for email, social media and website updates. Learn more about other companies who’ve seen success with a great content marketing strategy. Download our free Content Marketing eBook Sidedoor Thinking here. Combining print and digital marketing efforts extend your program’s reach and helps meet your return on investment. Keeping consistent content across your entire marketing mix is vital. Upcycle marketing activities by integrating cohesive visual templates for print and direct mail that align with your digital marketing activities. Awesome packaging in printed direct mail has grown beyond postcards and self-mailers. There’s a wave of new and innovative formats available, including credit cards, paper wrap and 3-D mailers. Combining print and digital means limitations no longer apply in print. With so many digital technologies options, you can add links to printed materials for digital targeting, webcasts and videos, PURLs, and QR and other 2D codes. This Renewal by Anderson 3-D campaign introduced its newest product to sales managers by combining print and digital to drive prospects to a webinar. Modern technology mixed with old fashion service. A good message in a memorable package across multiple channels gets you noticed while you bridge the gap between providing the information and closing the sale.